SIBF’s 37th edition comprises a fully integrated cultural programme that features a plethora of literary and intellectual seminars, discussion panels, reading sessions, poetry evenings and book signing ceremonies. 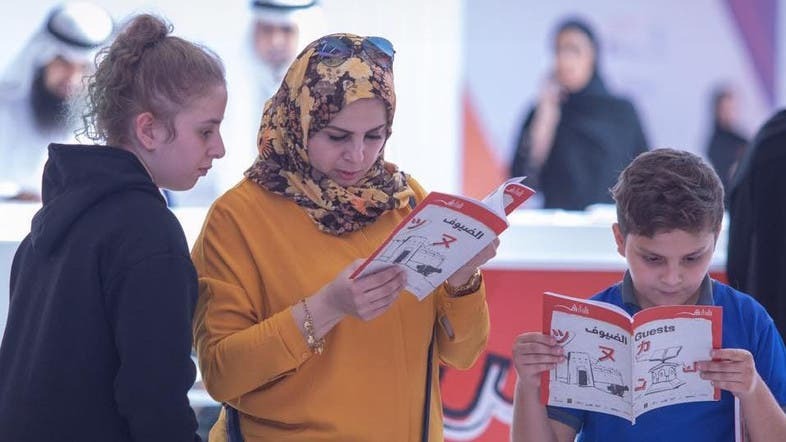 The 37th edition of the Sharjah International Book Fair (SIBF) began on Wednesday and is expected to run until Nov. 10 at Expo Sharjah. Organizers this year will be welcoming writers and novelists from around the world, including a cornucopia of internationally well-renowned bloggers, physicists, YouTubers, authors, and speakers can be expected to delight book lovers. SIBF will be welcoming an award-winning blogger, social media editor, Sunday Times business bestseller, and podcast creator, Emma Gannon hailing all the way from the United Kingdom. The co-author of ‘The Grand Design’ with Stephen Hawking as well as ‘War of the Worldviews,’ with Deepak Chopra, the acclaimed theoretical physicist from United States, Dr Leonard Mlodinow will be one of the main guests at SIBF 2018. The wildly popular, Lilly Singh, who is a Canadian youtuber of Indian descent and first on the list of Forbes Top Influencers in the entertainment category will be present at SIBF with her ‘superwoman’ vibes. All the way from Nigeria to Sharjah, a 4-time TEDx speaker, one of Venture Africa’s 40 African innovators to watch, author of 4 bestselling books, CEO and co-founder of OkadaBooks.com, and the list can go on is Okechukwu Ofili, who will be enthralling the audience with his illustrious journey. In celebration of ‘Tale of Letters,’ which is the theme for this edition, international authors are flying in from all areas of the world. The #1 New York Times bestseller, AJ Finn, whose book will soon be a film starring Amy Adams and Kim Howe, the bestselling author of ‘The Freedom Broker’ and ‘SkyJack,’ who is otherwise found missing in action, travelling, and seeking adventures will be attending SIBF. An international acclaimed bestselling crime fiction writer, Sophie Hannah from the UK; a comic writer and scriptwriter, Lauren Beukes from South Africa; an author, screenwriter, director, and mentor, Travis Hunter from the USA; and award-winning novelist who won the International Dublin Literary Award, Akhil Sharma will be present. Poets such as Najwa Zebian from Lebanon/Canada and Emtithal Mahmoud from Sudan will be trailblazing at SIBF 2018. Romance novelists like Katie Fforde from the UK and Hannah Fielding who is a British-Egyptian author will be attending SIBF as well. On the non-fiction front, there is Jane Wenham from the UK who is a novelist, journalist, and presenter. She has written three non-fiction books and her columns and articles have been published in British newspapers and women’s magazines. Another guest from the UK is Ben Garrod, who is an evolutionary biologist and broadcaster. He is an award-winning BBC science presenter and is very keen to be promoting the benefits of reading to keen young scientists attending SIBF. From the USA, James W. Parkinson, a California lawyer, activist, speaker, and literacy advocate will be taking part in SIBF 2018.